Physicist Hatem Zeine has invented what he believes to be the answer to this challenge. The Cota wireless power transmission system uses intelligently steered phased array antennas to focus a beam of microwaves on a receiver module – and only on that module. The inherently safe technology can deliver electrical power up to 30 feet from a central transmitter without any line-of-sight requirement and without interfering with other devices. The system is projected to hit the market in 2015. Cota uses a single microwave transmitter, operating in the 2.4 or 5.8 GHz industrial, scientific, and medical (ISM) bands that are also used by Wi-Fi routers. Unlike most wireless charging systems we’ve seen that require the close proximity between the transmitter and the device being charged, the Ossis transmitter will provide effective charging to distances of about 30 feet (9 m). This means that a single unit would suffice for most households and offices. The microwave power from the transmitter is directed onto charging receivers that convert the received power into a form that can be used to charge device batteries, or even to directly run portable devices. The charger is housed in an 18″ cube while the receiver resides on a chip and uses a chip antenna for operation. The commercial version of the receiver will be small enough to fit inside a phone or even a AAA battery according to Zeine. The amount of electrical power that will initially be made available by a single receiver is expected to around 1 W (about a third the power transmitted via a USB socket), which is sufficient for charging multiple portable devices. 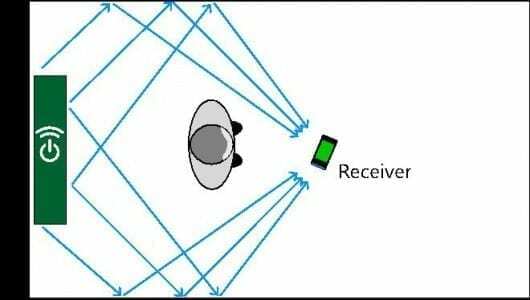 However, the use of unmodulated RF power to transfer power does not seem to fall under any specific FCC regulation in the US. As Cota is not being used for telecommunication, the power which could be made available will be controlled by the general ISM regulations, which allow much larger power than the maximum one watt of a Wi-Fi router. Worldwide, of course, the limits will depend on local regulations. April 9, 2019 - Global Wireless Power Transmission Market 2019 – Samsung Electronics Co., Ltd., Tdk Corporation, Texas Instruments, Qualcomm, Inc. B2B News UpdatesA new business Market research report with title Wireless Power Transmission Market by Manufacturers, Regions, Type and Application, Forecast to 2025. April 11, 2019 - Global Wireless Power Transmission Market 2025 Top Analysis Focusing On Companies like Qualcomm, Samsung Electronics, TDK, Texas Instruments, NuCurrent Inc, Powermat, PowerbyProxi StockNewsMagazineThe Wireless Power Transmission report analyzes the Wireless Power Transmission market in excruciating detail by types, applications, players and regions. April 8, 2019 - Global Wireless Power Transmission Market : In-Depth Overview, Growth Factors , Regional Analysis and Forecasts Outlook - 2027 The Smart CMSThe “Global Wireless Power Transmission Market Analysis & Trends – Industry Forecast to 2027” report has been added to MarketResearch.Biz offering.